Each year in the month of November, the Maricopa Community Colleges honor active duty military and veteran members of our communities with events at many of our 10 colleges. At Veteran Services Centers at each college, and the East Valley Veterans Education Center, active duty and veteran students can find academic and college success advising, career re-entry planning, and peer support. Currently, Chandler-Gilbert, South Mountain, Scottsdale, Glendale, Rio Salado and Mesa Community Colleges are designated Arizona Veteran Supportive Campuses. The public is welcome to the 8th Annual Veterans Resource Expo, showcasing college and community resources, career, and educational opportunities for veterans. Guest speaker Sgt. Gerry Jones, USMC, renowned architect and co-founder of the Town of Carefree, will share his story of service as a Marine in World War II and Korea. Light refreshments served. GateWay to the Arts, in honor of Veterans Day and in cooperation with the GateWay Veterans Center and the United States Navy, presents “The Flying Fleet”. Join our military and color guard guests of honor as we screen this classic silent film from 1929. This event is free and open to the public. Park in west lot off of 38th Street across from the Copper Room, located in the Integration Education building, or ride the Light Rail to the GateWay Community College stop. Contact Donald Hall at hall(at)gatewaycc(dot)edu with questions. Glendale Community College honors veterans and commemorates Pearl Harbor on Nov. 10. with displays, special guest speakers, dedications, and refreshments. Fri., Nov. 11, beginning at 8 a.m.
Veterans Day ceremonies at Estrella Mountain Community College (EMCC), in collaboration with the EMCC student Veterans Club, begin Fri., Nov. 11 with a family fun event and fitness challenge 5K run at 8 a.m., followed by ceremonies and a pancake breakfast prepared by EMCC culinary students. The festivities will include performances by EMCC dance students, patriotic displays from area veteran groups, and a formal ceremony that includes speakers from Luke Air Force Base. Proceeds from the event will directly benefit the development of The West Valley Center for Military & Veteran Success, a Veteran Success Project initiative. Breakfast is $5 per person, free for veterans and their families with military identification. Breakfast is also included as part of the registration cost for Fitness Fun Run participants. Run registration is $25 for military, veterans, and those that pre-register online through October 26. Event day registration is $35. Register by October 26 to be guaranteed a free event performance t-shirt and bag full of giveaways. Visit http://www.estrellamountain.edu/vetfunrun for more information and to register. Paradise Valley Community College hosts several events, beginning Oct. 25 with “Shout Out to Vets.” Record a quick “shout out” to thank veterans or recognize specific individuals for their service. Veterans are invited to share their thoughts on what Veterans Day means to them. Cards, provided at all events to write personal thank you notes to Veterans, will be delivered to the Arizona State Veteran Home to show our support. Mon., Oct. 25, 10:30 a.m. to 1:30 p.m. and Tues., Oct. 26, 11:30 a.m. to 1:30 p.m. Opening remarks from PVCC Vice President of Student Affairs Dr. Veronica Garcia, followed by the National Anthem performed by PVCC administrative assistant Aliceann Lunceford, the raising of the American flag by the USMC recruiting office Honor Guard, and the Pledge of Allegiance led by the PVCC Veterans Club. $5 donation, free for veterans and families with military identification. Proceeds benefit the Veterans Club support activities. The menu features hamburgers, hot dogs, chips, and water. Members of the Marine Corps Honor Guard will perform an early morning flag raising followed by a coffee and doughnut reception inside of the college's Hannelly Center. Free and open to the public. Veteran students from across the Maricopa Community Colleges District are invited to attend PC's annual Veteran Summit. Each year, the college invites local experts to provide veteran students with the tools they need to transition from the military to college to the workforce. Free and open to MCCCD students. The community is invited to help us say "thanks" to our veterans. The Veteran Appreciation Fair will include fun, games, and food, as well as several employers on-site who are interested in hiring veterans. Free and open to the public. Mesa Community College honors all the men and women who have served our country. On Thurs., Nov. 10, local organizations will share information on educational, recreational, and volunteer opportunities in the community 10 a.m. to 2 p.m. Local band Struck Match will perform and take requests from veterans from 11 to 11:45 a.m. Michael Somsan, a veteran and blind ironman, will tell his inspirational story and speak with attendees about his experiences and athletic accomplishments from 11:45 a.m. to 12:15 p.m. A Marine Corps birthday cake cutting will take place at 12:15 p.m.
Scottsdale Community College, 9000 E. Chaparral Road, Scottsdale. Scottsdale Community College invites veterans, students and the community to a recognition ceremony for current and former military members as part of its Veterans Day celebration, Thurs., Nov. 10, 2016. Veterans will be saluted with honor, respect, and gratitude. Light refreshments will be served. For more information, contact Michelle Dew at michelle.dew(at)scottsdalecc(dot)edu. South Mountain Community College hosts a Veterans Storytelling Event featuring South Mountain's post-9/11 Veterans telling their personal stories in their own words. 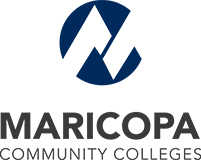 The Maricopa Community College District includes 10 regionally-accredited colleges–Chandler-Gilbert, Estrella Mountain, GateWay, Glendale, Mesa, Paradise Valley, Phoenix, Rio Salado, Scottsdale and South Mountain–and the Maricopa Corporate College, serving more than 100,000 students with two-year degree, certificate, and university transfer programs.